Honey Chestnut is a bright, clear, amber coloured IPA with hop aromatics upfront and floral undertones of honey as it warms in the glass. The malt base is well rounded, balancing out the hops. Complex and smooth with a nutty finish. This IPA is best served at room temperature during winter or cooler autumn/spring days, and just slightly chilled on warm days: This is so you can taste the full array of flavours that you miss when drinking ice cold. Honey Chestnut was culmination of ideas that were brewing in our brains for quite some time. We wanted to feature a beer that featured our friend Robert Boyd’s honey – he’s a beekeeper here in Auckland – so his bee’s source their honey from a lot of different sources instead one particular flower (eg clover, orange, manuka). So we like to think of it as ‘promiscuous honey’. Later on Carlos got in touch with the New Zealand Chestnut Council in Hamilton, David Klinac was instrumental with making sure we had the best chestnuts available for our beer. Brewing this beer was a good challenge, and albeit we’ve agreed to keep working on the recipe, we took on the challenge and ended up quite happy with the results. The main points of discussion have been how to preserve those delicate flavors from the honey, and improve the impression of nuttiness to show better in the glass. We like to hear from brewsters and brewers try out our recipes and come up with suggestions. We think this exchange is an integral part of this beautifully dynamic beer industry. 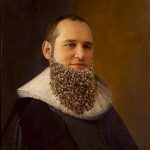 The recipe we ended up going with can be found scaled for homebrewing on beersmith, if you want to give it a crack. This should give you 2 corny kegs and some good amount of joy. 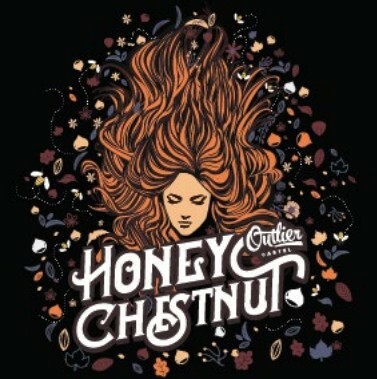 The name, Honey Chestnut, as unoriginal as it sounds, actually was not entirely derived from the ingredients: we actually thought it would be awesome to have a beer coloured like honey chestnut hair. And we definitely nailed it, have a quick look at this video here. We were lucky enough to do a few beer and cheese pairing session with our friends from Funk Estate, and it proved a to go awesomely with an aged gouda from Meyer (great cheese from New Zealand!) and with an Emmental just as well. These session were held at the awesome Auckland bar The Brewer’s Co-operative and later again at the artisan beer stronghold Craft Hamilton. Go check them out! This became the source of inspiration we wanted for our packaging. 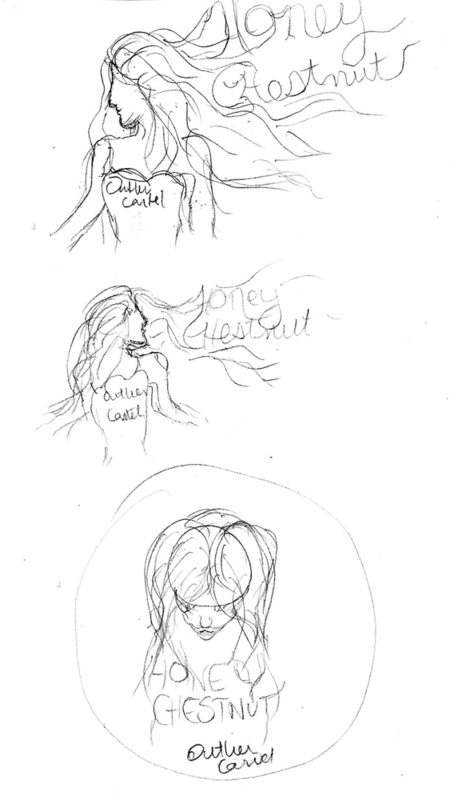 Pictured below our a few rudimentary sketches, but we ultimately decided that head turned down look was the most interesting, inspired the Grateful Dead Logo (my sketch looks a bit more ghoulish than intended). So armed some fantastic local ingredients and a crude sketch, we were ready to make this beer happen! 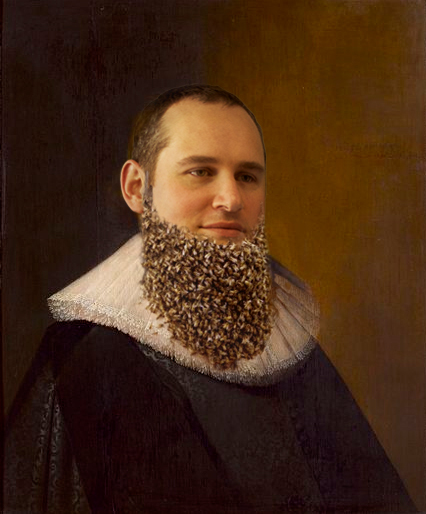 Taking the black background and a few buzzy bees and chestnuts, below is final design we decided on. 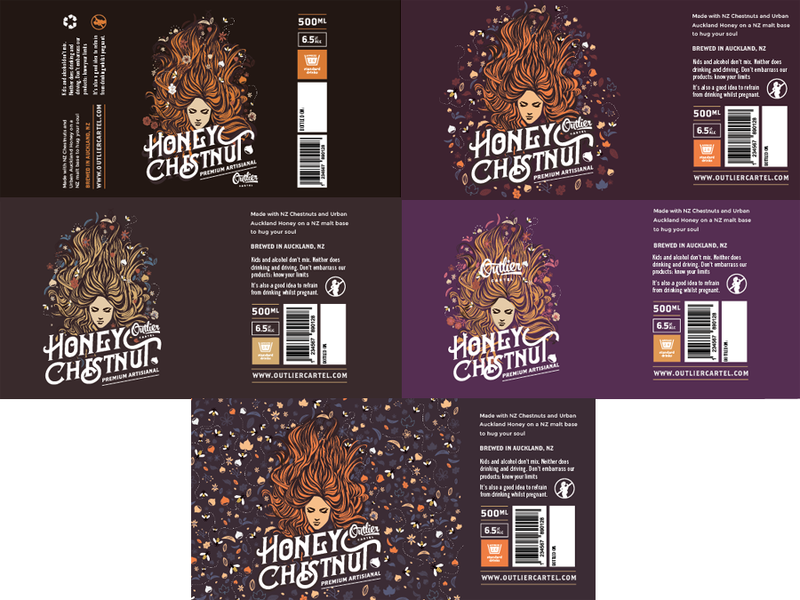 Honey Chestnut was our first bottle release as well, launching in April 2016. We are very stoked about this product!